Pauline has been actively involved in the business from its humble three staff beginning in 1992 through to the present. Pauline believes that building relationships with her clients and assisting them to achieve their best real estate outcome is paramount and also very rewarding. She is passionate about seeing people happy with the purchase or sale of their home, business or land. In short – she loves her job! Pauline also finds great joy in mentoring younger members of staff and watching them develop. ‘Passing on the passion’ is her way of ensuring the values she holds dear continue. 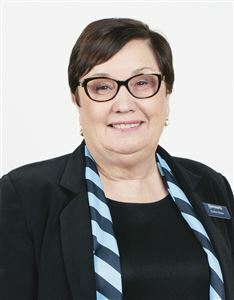 Pauline loves the fact that Harcourts Drouin and Bunyip can offer all the benefits of a family-oriented local company and at the same time is able to provide the broad marketing reach and latest technology of Harcourts International. Pauline ALWAYS makes the time to spend with her daughters and three granddaughters and gets away, when she can, for a tropical island refresh with Brian!